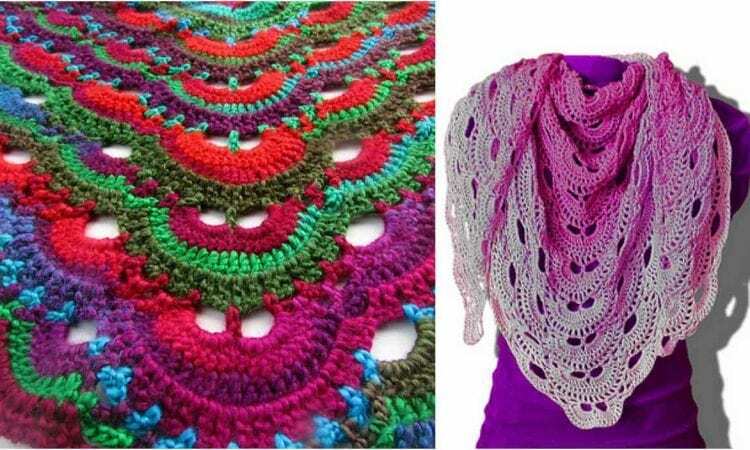 How would you like to own a truly viral shawl? The virus shawl is all the rage: it’s colourful, it’s got a beautiful texture and its wildly popular. The pattern is easy to follow and works up quickly. Once you get the hang of it, it’s effortless, and can be made in a multitude of hues, or else toned down to one or two, for a more elegant look. For more free designs every day follow us on Facebook. The Link to the pattern is below. Virus Shawl – visit the free pattern site. You may visit here (first shawl) and here (second shawl) to see more details about hook and yarn. Pattern is at the end of the post – go to pattern site. As there is a few patterns on the pattern site, you have to scroll down the page.